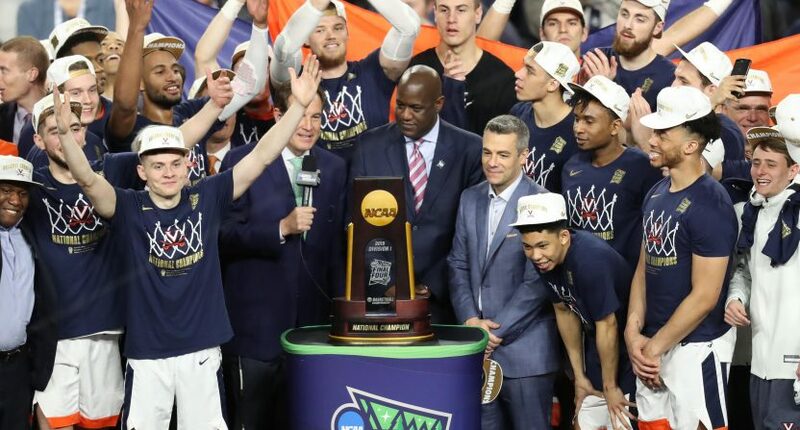 In 2018, the Virginia Cavaliers became the first No. 1 seed to ever lose to a No. 16 seed, and it was a complete shellacking with UMBC winning 74-54. Virginia almost had the nightmare repeat itself in the first round of the 2018 NCAA Tournament, when No. 16 Gardner-Webb took a 36-30 lead into halftime. But Virginia turned it around against Gardner-Webb (winning 71-56), and they really turned it on over the rest of the tournament. And now they’re national champions, for the first time in school history. Virginia took down No. 3-seed Texas Tech 85-77 in overtime on Monday night, in an incredible national championship game. If you picked Virginia you could have won a lot of money this year with NCAA betting lines at 888 Sport New Jersey. De’Andre Hunter (27 points, seven rebounds), Kyle Guy (24 points), and Ty Jerome (16 points, nine assists) led the way for the Cavaliers in the victory. Hunter’s three on a great find from Jerome tied the game 68-68 in the final seconds of regulation. But it’s head coach Tony Bennett that of course deserves the most credit here. Last year’s loss must have been a crushing one on the Virginia players and program, and they surely had that “Here we go again!” feeling after the Gardner-Webb first half. This journey had to take a lot of good coaching — on and off the court — to get the Cavaliers’ players to keep their confidence high and play championship-winning basketball.